In response to growing concerns over crane safety, Occupational Safety & Health Administration (OSHA) recently released new crane and derrick safety standards. The rules will affect more than 4.8 million employees of crane and construction companies nationwide. This program will elaborate on the new standards and the employers’ responsibilities. With this construction-specific program, you can help meet OSHA's "formal instruction" forklift training requirements (29 CFR �1910.178 (I)). 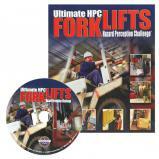 It's essential that forklift drivers focus on safety first. This video emphasizes an awareness of forklift driving hazards and promotes best-practices that will help keep your workplace accident-free. Safety is an important responsibility for you, the company and fellow employees. 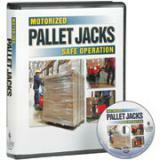 This program is an overview of your safety responsibilities to help perform your job safely. 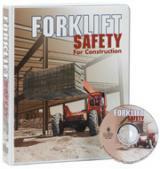 Forklift training video on DVD for safety, operation and maintenance. Safety Orientation For Heavy Manufacturing – This program is an overview of your safety responsibilities to help you perform your job safely. Safety is a responsibility that’s important to you, the company, and your fellow employees. Accident and injury statistics compiled over the last 50 years reveal that the majority of all accidents are caused by the unsafe acts of employees such as taking short cuts, violating safety rules or job procedures. Rear loaders are designed for speed of operation, safety and ease of loading. Rear loaders require a vehicle pre-trip safety and operational inspection, the same as other vehicles. The operator must have a good attitude about accident prevention and vehicle operating procedures. The program focuses on vehicle operation with emphasis on safety. Blocking and cribbing is a phrase which describes a variety of procedures used to stabilize heavy equipment, or large components of heavy equipment, during maintenance. Accessing the operator's cab on heavy equipment requires more physical activity than sitting down into a car or small truck. "Mounting" and "dismounting" often requires the use of access supports such as ladders, steps, and handholds. This program will discuss some basic rules that apply to both equipment operators and warehouse personnel. Basically, forklift operator rules generally call for pedestrians to have the right-of-way but forklift operators don’t always see pedestrians until it’s too late. Stay alert and pay attention to the sounds around you. The New Lockout/Tagout Program - One of the most effective devices for personal protection around moving machinery is a lockout and tagout program. When you hear the words lockout and tagout it means locking up the energy sources of a machine so it cannot be started. The tagout part of the term refers to placing a tag on a locked machine so everyone will be aware that a particular machine is under repair or maintenance. 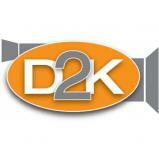 Provides training regarding the safe operation and dangers of the two most common types of motorized pallet jack trucks: “walkies” and “walkie-riders." Orderpickers are very unique industrial vehicles. Rather than having to get in and out of the machine to pick an order or take inventory, orderpickers allow the worker to operate the vehicle while riding up and down with the load. 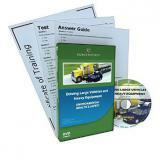 This safety training video course will describe common truck mounted crane types and components. The main focus of the module will be on the safe operation of truck mounted cranes. It is important to know the types of hazards that equipment typically creates in order to avoid incidents. This course will cover common types of hazards associated with equipment, as well as how to identify and avoid these hazards. This program covers the maintenance and operation of a backhoe with emphasis on safety. The most important safety feature is the operator's knowledge of how to use, inspect, and maintain the equipment. Safety around hoisting equipment is extremely important because one little mistake can be disastrous. Crane Signal Person Basic Training prepares your workers to properly use standard hand and verbal signals during crane operation. This course will discuss the most common types of conveyors and their hazards, the types of guarding around conveyors, general conveyor safety, and what to do during and after an emergency. Material Handling Order Selector - There is a variety of material handling order selector equipment in use today. The same principles apply generally to all types of order selector equipment, but each person who is trained and authorized to operate this equipment must always follow the equipment manufacturer's operating and safety instructions. Your organization may have additional safety rules and procedures, which you must also follow for proper operating guidelines. 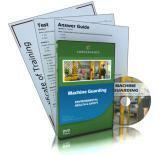 This course covers the importance of protecting workers from industrial hazards with proper machine guarding. This course is aligned with OSHA General Industry standards and industry best practices. It is meant to be used as an introductory or refresher course for general industry workers who will be operating or working near industrial machinery. This safety training course covers some of the things that must be considered when driving large vehicles or operating heavy equipment in order to ensure the safety of operators and people who are nearby. Electric Pallet Jack - A very important piece of equipment in the warehouse and material-handling areas is the electric pallet jack. It’s an economical and versatile unit, designed to move stacks of materials from one place to another safely and without injury or product damage.